What has 3 wheels, 2 legs, runs the world, and rocks yoga pants? Moms at the Stroller Run and Mom Expo! A new family 5K and expo dedicated to moms, dads, and their kids, is announcing their launch in the U.S today. The event will take place in more than 15 cities during the inaugural year, 2018. 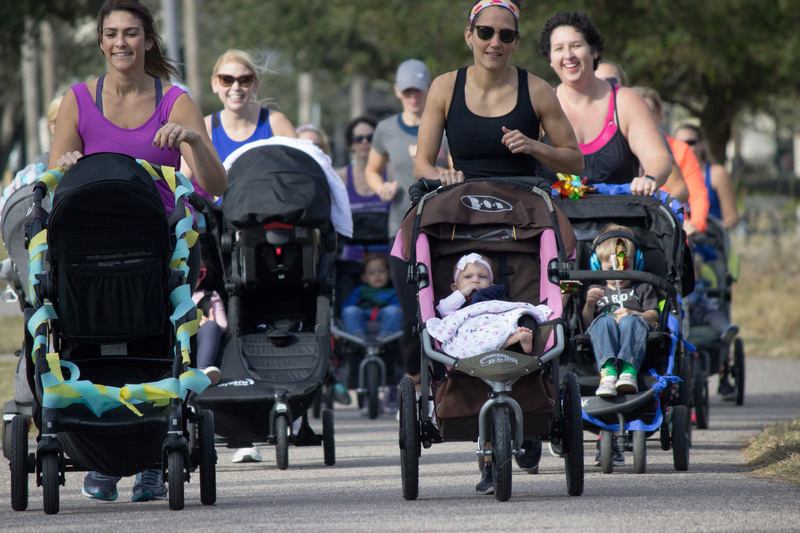 The Stroller Run proceeds will directly benefit charities local to each race. The first event supports the American Cancer Society. The run will take place on Mother’s Day weekend, May 12th, 2018, in the Bay Area, at Crown Memorial State Beach on the island of Alameda, CA. From California to New York, and many states in between, The Stroller Run will kick-off on Saturdays in each city. Moms (and dads) are encouraged to run with their strollers, bring their toddlers, spouses, friends, grandparents and guests. This race is less about clocking your time, and more about bringing a community of like-minded moms, families, and friends together in an active environment. After each run, participants can enjoy shopping, eating, and drinking at the Mom Expo! There will be a variety of vendor booths, including local food trucks, boutiques, and refreshing adult beverages to enjoy with the community. For moms and dads who want to have some adult time and enjoy the Expo, The Stroller Run will offer a FREE kids camp following the run, where licensed child care professionals provided by Care.com will engage your children in fun group activities. Lastly, ditch the stroller! There will be a free stroller valet area available so you can explore the expo, stroller-free. For more information and to find The Stroller Run coming to a city near you, visit thestrollerrun.com. © 2019 The Stroller Run.